Personalized Burp Cloth Set. Two coordinating personalized burp cloths. You choose the fabric, font and font colors. One personalized burp cloth with fabric trim and name. 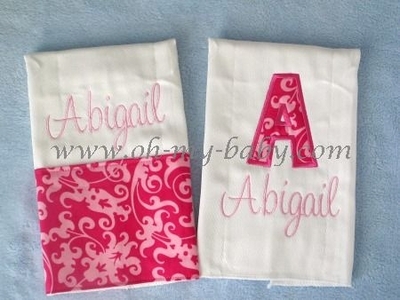 One personalized burp cloth with applique initial in same fabric and name.